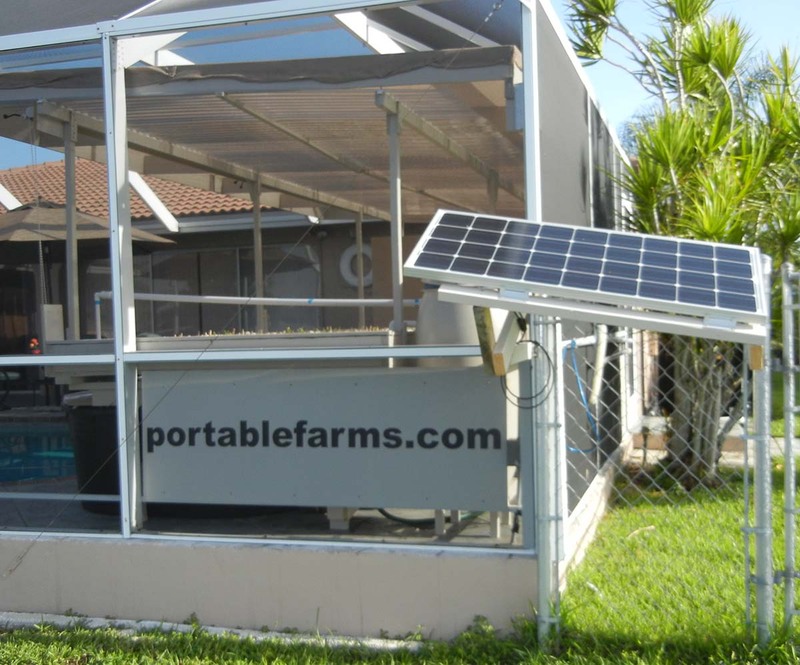 Portable Farms® Aquaponics Systems is a carbon neutral and pesticide-free food production facility designed to use readily available off-the-shelf equipment and materials to grow healthy green vegetables including tomatoes, peppers, and cucumbers to raise your fish. PFAS LLC’s goal is to provide our customers with the information and specialized components for year around production of vegetables and fresh fish without any outside energy (from off your property) involved. This carbon neutral system includes the use of solar, wood heat and geothermal energy and very careful planning. 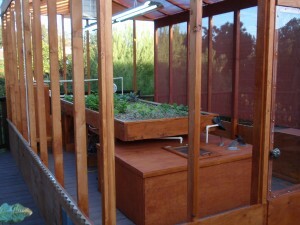 A complete solar-powered aquaponics system helps you be one of the least energy impactful families in the world. March 13, 2017 – Copenhagen, Striving To Be Carbon-Neutral: Part 1, The Economic Payoffs – Copenhagen has already reduced its carbon emissions by more than 40 percent since 1990. Some 98 percent of all heating in the city is done by energy-efficient district heating. “You won’t find any chimneys on the roofs, because you don’t find any individual heating in houses or flats,” Kabell explained. Having your food production system in place makes you a powerful voice in your community because you are reducing stress on the environment and showing others how they can also live socially conscious and productive lives. Families enjoy working together in aquaponics to plant and harvest the food, feed the fish and learn the natural process for the cycle of life that aquaponics offers. People of all ages can operate an aquaponics system with a few simple tasks that require only minutes per day of fun and interesting work. 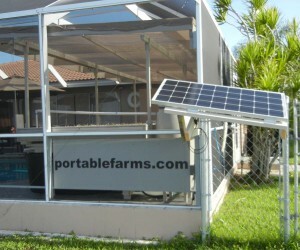 “PFAS LLC is happy with the success of our online Portable Farms Aquaponics Systems Course©. After satisfactory completion of our online course, we ship the Portable Farms® Kit to our students so they can build their own Portable Farm. Most students complete this online course in about twelve hours. It’s self-paced, and you have one year to complete the course. Many families install a backyard aquaponics system over a weekend assuming they have some basic skills for home repair and have access to repair tools. We’ve sold our Portable Farms® to families and groups in fifty US States, ten Canadian Provinces and to people in twenty countries (as of April 3, 2017). Before offering the Portable Farms® Aquaponics Systems to the public in June 2008, I spent over 40 years working on and refining the idea that somehow a family or small group of people could have their food provided by themselves and live wonderfully productive lives. 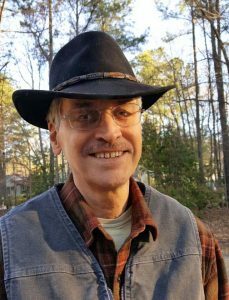 Solar: In the basic PFAS without supplemental lights, a 100-watt solar setup with MPPT and deep cycle battery will run a medium (up to 200 sg. ft.) Portable Farm. The basic solar-electrical system means the water will circulate, the air pumps will run continuously, and the heaters will keep the water at a reasonable temperature for the fish in the tank. You will need to size the solar much larger if you use grow lights of any kind. LED or full spectrum fluorescent grow lights: These are currently the most effective lighting system you can buy. The LED lights look weird, run hot and are expensive. The price is dropping fast, and that is making the other types of grow lights that produce much more heat quickly obsolete. The full spectrum fluorescent tubes are much less expensive, are nearly as effective and don’t last quite a long. We have had the best results with the fluorescent lights with four-tube fixtures. Heating with wood: In any climate where the temperature remains below 60°F, you need to supplement the solar heating with a wood burning stove or another type of heat. Something as simple as a tiny cabin stove or as elaborate as a forced air, thermostatically controlled furnace. Using wood taken from the local area is incredibly effective recycling and yields amazing heat. Geothermal energy is more expensive and complex to install, and there are many YouTube videos on how to install in a greenhouse. These are harder to adjust and will prevent your installation from freezing. Wind power is a much trickier power source because of the storage problem with too much power at times. Heating water to use as a heat/power sink works well as does having a larger battery bank. Each installation is different and starting with a climatically adapted structure to keep your plants and fish warm to guarantee aquaponics growing success. 80 to 85 degrees F is the ideal temperature range, but the plants still grow at temperatures from 60 degrees F to 100 degrees F but are optimally productive at the ideal temperature of 80 to 85 degrees F). The use of 12-volt components is not as effective as using regular electrical components and an inverter to change the 12v power to 120 or 240v motors and heaters. Here is one of our trade secrets: Keep your fish happy. The fish tanks in Portable Farms® Aquaponics are heated to a very pleasant 80 degrees F. Happy fish eat and poop and provide you with healthy plants.